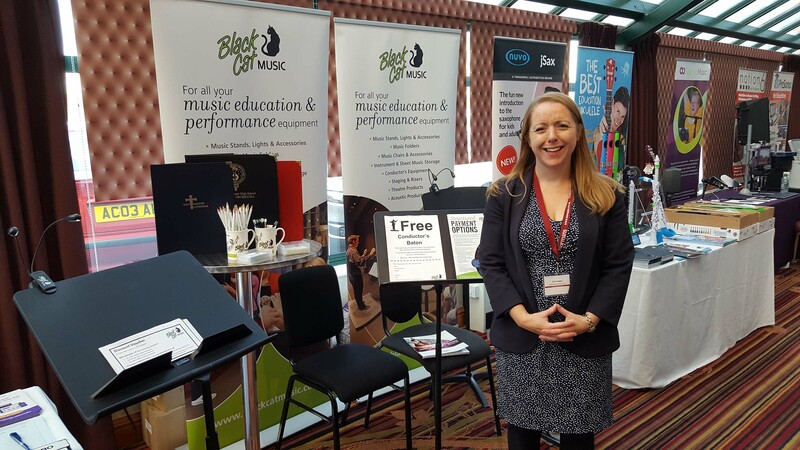 Click to EnlargePerfectly in keeping with this year’s theme of ‘Supporting Progression for All’, as a special offer, Black Cat Music gave out free Conductor’s Batons at this year’s Music Mark conference and they went down an absolute storm. Always delighted to be a part of this annual conference, Black Cat Music’s managing director, Alice Dagger and sales executive, Brigitte Downs, went along to both touch base with existing customers and friends in music education and to meet new music teachers and music hub managers. Over the two days, Music Mark brought together presentations, workshops and clinics with breakout sessions that facilitated discussion opportunities and gave attendees the chance to network. The aim of the conference was to inspire and influence music educators' thinking and to enable them to engage with the support offered from a membership organisation. Alice Dagger reported: "The Music Mark conference 2106 was a great success and did well to reflect its theme of ‘Supporting progression for all’. Each year we feel privileged to be involved with and supporting the music education community through our continuing relationship with Music Mark." Brigitte Downs added: "It was fantastic to catch up with friends at the conference and to meet some new people in the world of music education. We were also delighted with the response to our free Conductor's Baton offer!"